i rock paper and scissors: Happy Mother's Day! In honor of Mother's Day, here's my mom and me leaving the hospital, just days after I was born. I used Chic Tags sketch from their monthly Sketch Challenge, with butterflies in place of the hexagons. I added a bit of machine stitching on top of the butterflies. 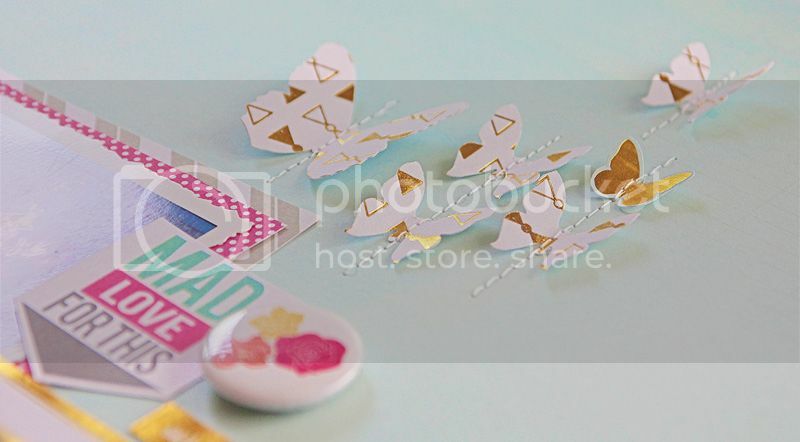 All these pretty papers, the cute tags, flair button and stickers are from the new Chic Tags Cloud 9 collection, don't you just *love* the colors!! The pretty gold alphas are from an older collection, but they match perfectly with all the yummy gold goodness! Be sure to check out the Sketch Challenge, you have until June 13 to play along for a chance to win a Chic Tags Grab Bag!!!! Wow this layout is gorgeous! This is stunning, I love how you worked the sketch, love the butterflies and pops of gold. Beautiful Mary Ann! 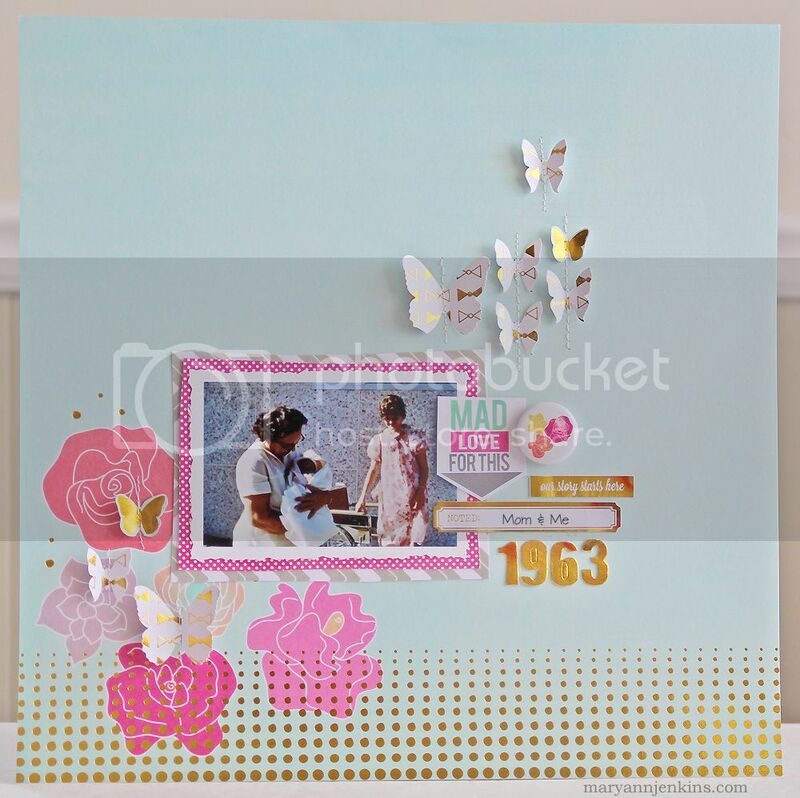 Love how you used the flowers and butterflies for the sketch, and the touches of Gold!! Great layout & details! 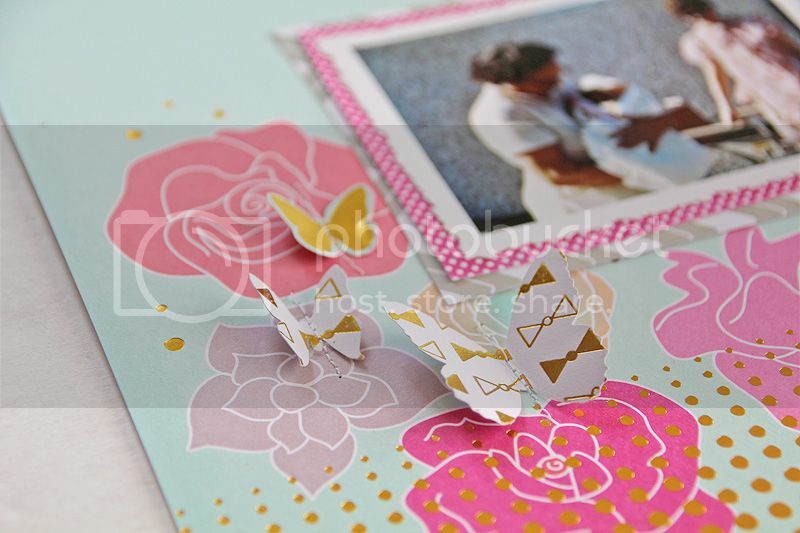 I want to feature your page for upcoming Trendy Tuesday post for the blog at Paper Crafters Library. We'll be featuring butterflies. You can ck out the blog here: http://blog.papercrafterslibrary.com/ The image will credit you & link back to your blog & the Chic Tags products used as well. If you do not wish to be featured, just let me know.